June of 2014 marked the beginning of a new value added service to our clients as we introduced Dillingham HR. This team of professional human resource consultants are seasoned individuals with diverse backgrounds to deliver clients with the ability to off-load all or a portion of your human resource needs. Dillingham HR provides a variety of services to our clients, including: project work, compliance and mentor/advisory role, and a fully outsourced human resources department. 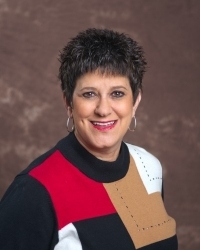 Janet Coplen, Dillingham HR, Senior Consulting Partner is a 30 year human resources professional, who has a diverse background to offer our clients a complete menu of services. Dillingham HR developed our strategic plan, inclusive of the budget and the recruitment and boarding of our staff from CFO to all hourly directs for a very diverse skills set. I know they are there for us during the next phase should the need arise. I recently partnered with Dillingham HR to re-build from scratch the entire HR Department of Johnston Seed Co. This task was short notice and on a strict completion schedule. From the beginning, Dillingham HR rose to the challenge and took charge ensuring that we created an HR structure that was efficient and mutually beneficial for employees as well as the employer. The Dillingham HR team executed all our projects with great efficiency and success. The benefits from the team's experience extend well beyond the individual project timeline as we upgraded HR policy and programs based on learning and advice from our relationship.